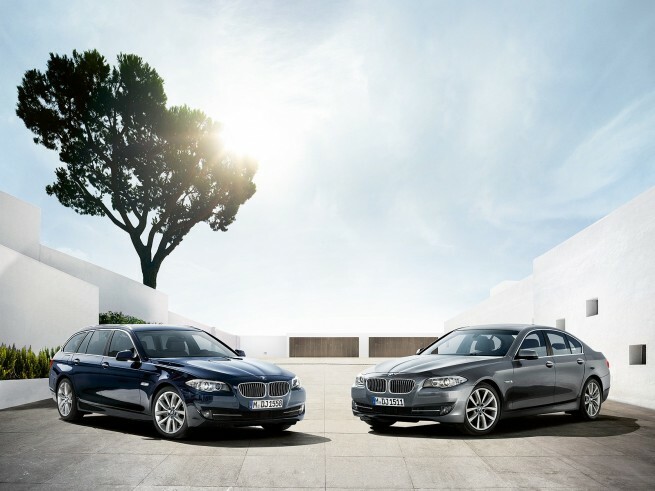 The moment we have all been waiting for: the new F11 BMW 5 Series Touring next to the F10 5 Series Sedan. Ever since its official unveiling this weekend, the new 2011 BMW 5 Series Touring captured the attention of many BMW fans. Some went as far as labeling the new Touring model as being “better looking” that its “step-brother”. The F11 Touring completes the 5 Series family, sans the M5, and along with the F10 Sedan and F07 5 GT, cover a wide range of requirements from BMW customers. Many of you have already wondered why the need of a Touring model when the 5 Gran Turismo was just launched on the market, and that is a valid questions. To respond to that question, we need to look one more time at the definition of a Gran Turismo vehicle: high-performance luxury automobile designed for long-distance driving. The emphasis here is “high-performance luxury”. The 5 GT was built and designed for a niche market, a new segment that focuses on interior space and luxury, while not neglecting the performance. On the other hand, the 5 Series Touring remains a family car, a spacious automobile that is perfect for long trips and suitable for a large family. The photos below portray this perfectly. 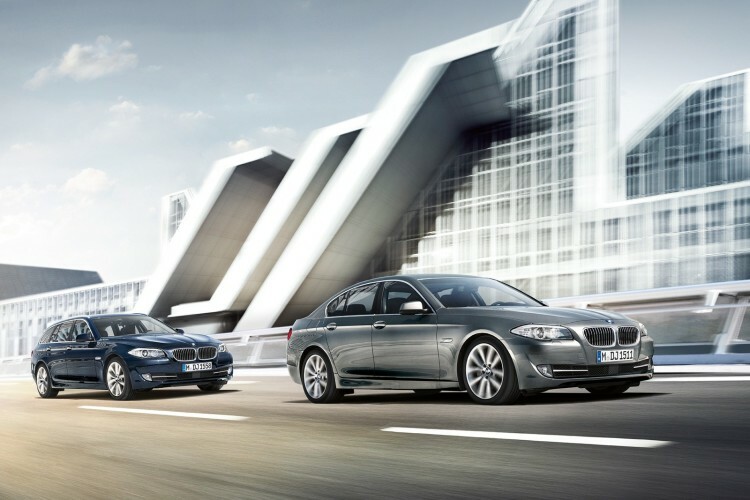 5 Series Touring vs. 5 Series Sedan? Well, it all comes down to a personal preference. While not as popular in the U.S., the BMW Tourings/Sport Wagons are an attractive buy in Europe, and combining the new design with the spacious interior, increased performance and reduced fuel consumption, we can see why some BMW consumers are inclined to opt for the Touring model.